Low transmission fluid can cause a lot of problems and even damage your transmission. Your transmission uses the transmission fluid for several purposes. Mainly it is used as a hydraulic fluid, and it transfers power with your converter between the gears and the engine. It is also used to lubricate, clean and cool down your transmission parts. If you are suspicious about your transmission fluid level, you should always check it as fast as possible. If you drive too far with low transmission fluid, your transmission may fail caused by overheating or lack of lubrication. There are a lot of possible low transmission fluid symptoms, but here you will find the most common. The most common symptom of low transmission fluid is slipping from your transmission. 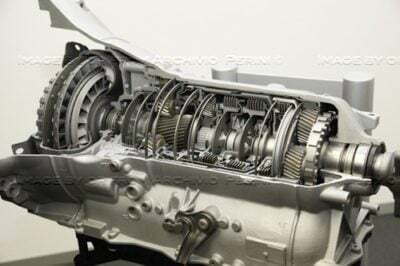 Your transmission requires hydraulic pressure to connect the force between the engine and your wheels. If this pressure gets too low, the transmission will slip and you may notice it by the engine RPM’s is higher than usual when you are driving. 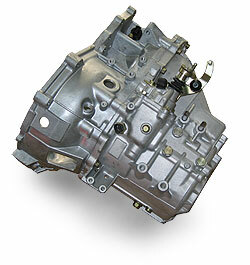 The transmission requires stable and the right amount of fluid pressure to change gears for you. If your transmission fluid is low, the transmission can have problems to build up the right amount of pressure required to shift gears properly. In some cases, the transmission may not change gears at all and it will be stuck in one gear. If you have low transmission fluid, it can cause late engagement between gears. When you put your gear lever into neutral or drive, it has to build up pressure before the car starts moving. If the fluid level is low, it can take a longer time to build up pressure inside the transmission and converter. You will often get a 2-3 second delay if your fluid level is low. Low transmission fluid may cause delayed or too fast shifting. If you have low transmission fluid you may have unstable hydraulic pressure. A transmission needs stable hydraulic pressure to put in the gears as required and to make a smooth gear shifting. If the pressure is too low/jumping up and down, it will cause the shifting to be too hard or too slow. This can be caused by a faulty shift solenoid. Your transmission fluid is helping to cool down all the rotating parts inside a transmission. Friction creates heat and there is a lot of gears and moving parts in a transmission. If the level gets too low, there will no be enough time for the transmission fluid to cool down before it’s time to go another turn through the transmission. Some transmission also using coolant from the engine, which an overheating engine can cause an overheated transmission. The transmission uses a lot of electric sensors and solenoids. If the transmission control unit is detecting a fault, it will store a trouble code in the transmission control unit. For some codes, it will also send a signal to the engine control unit to turn the engine light ON. If your engine light is on and the ECM detects a severe problem, the engine control unit could also put the engine and transmission into Limp mode. Limp mode can cause your transmission to shift only through the 1-2-3 gears. It can also cause your RPM’s to get limited. Overheated transmission External Fluid leak of the transmission Replace transmission pan gasket. The most common way to check your transmission is from the transmission dipstick under the hood. But some cars/transmissions do not have a dipstick, and you may have to check it with an OBD2 scanner or use special tools given by the manufacturer. If you have to check your transmission fluid level parameters in the engine control unit/transmission control unit with an OBD2 scanner, you can use this guide in the same way as with a dipstick. If you can’t find a dipstick and want to check your transmission fluid, call your authorized dealer or ask us on this site. This guide is a general guide applied to the most common transmissions. Your transmission may be different, and you should always check your repair manual before. 2. Wait until the transmission gets to around 40 C. You can see this with an OBD2 scanner in the parameters. 3. Check your transmission dipstick while the car is at idle. In most cases, you should check the transmission fluid with the engine at idle. The level should now be between the MIN and MAX marks. If your transmission fluid lower than MIN/at MIN, it’s time to refill. 4. Refill your transmission and do the same procedure again to check your transmission fluid level(Read the next topic first). How often do I have to fill my transmission fluid? Never. The transmission fluid system is a sealed system, and it should never have to be refilled. If you have a low transmission fluid level, the transmission does most likely leak somewhere. The most common leak is from the gasket between your transmission fluid pan and the transmission. If your transmission fluid is low and you see that the leak is coming from the pan, my recommendation is to fix it and replace the fluid at the same time. Some transmissions have the transmission fluid filter inside the fluid Pan, and you have to remove it anyway. You should always fix the leak before filling the fluid again to get the best result. If your fluid is low there is a chance that the leak is not that tiny. If you want to learn more and go deeper into transmission problems, you can check out our Transmission problems article. Low transmission fluid will cause low/jumping pressure inside your transmission, and it could cause a lot of different problems with your shifting. The fluid is also used as coolant and lubrication for your transmission, and low fluid level can cause severe damage to your transmission. I recommend to fix the leak and do a transmission fluid replacement if you notice that your fluid level is low, to prevent future problems. If you have any other questions about your transmission that did not get answered here, comment down below, and I will respond as soon as possible. Any other car questions can be submitted to our homepage.